I’m sure most of you are trying to finish up work and are getting ready for Thanksgiving! Below is a list of a few events going on around Marion County for the holiday weekend! 22nd Annual Turkey TROT- The 22nd Annual Turkey Trot 5K is the largest race in Ocala, with more than 2,000 runners. This Thanksgiving tradition includes a 5K Walk/Run, a 10K Run, an Outdoor Cycling Class, an Outdoor Youth Dodgeball Tournament, along with activities for the whole family. This event is held at the YMCA and starts at 7am and goes until 11am. Thanksgiving Feast at Hilton of Ocala- Celebrate Thanksgiving Day at the Hilton Ocala! The Hilton Ocala will be celebrating Thanksgiving with a magnificent buffet. Seating times are 11 AM, 1 and 3 PM. Please call 352.390.1515 for reservations. Black Friday Shopping!- I’m sure most of you have already seen the ads online and maybe have even already ordered a Black Friday Deal! If getting a great deal is for you then check out www.TheBlackFriday.com for ads, hours and stores participating in Black Friday. Small Shop Saturday! Several small private owned businesses are participating in “Small Shop Saturday” Make sure you call your favorite small shops and see if they’re having special deals on Saturday! 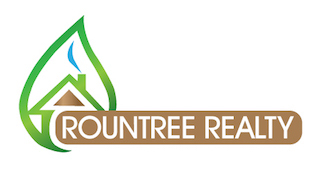 The Rountree Realty Team wishes you a Happy Thanksgiving and a great holiday weekend!